This is perfect for a healthy packed lunch! Mix the lemon juice and black pepper into the hummus and spread on the wrap. Scatter on the diced tomato, diced onion, spinach and olives. Top with the crumbled feta. 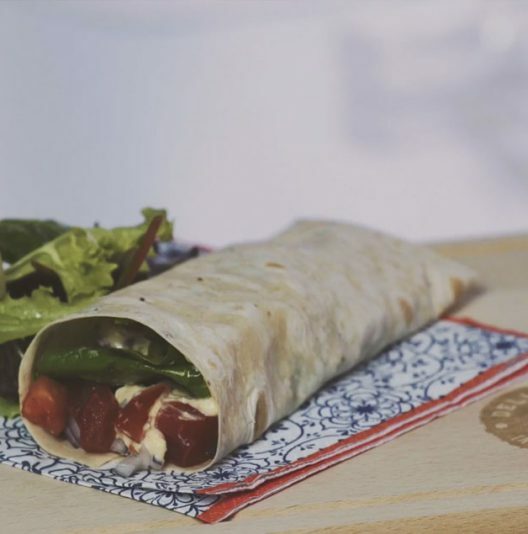 Fold up the wrap and serve.